My dad used to go fishing over there all the time. I’ve never been, but always wanted to go. Love the clouds in here. I wonder if they’re catching anything on that boat out there? I’ve just been fishing too and caught a boatload. I recommend everybody follow me to the same spot: Click on “Growing Into Myself—A Mini-Chapbook” in Clare’s sidebar. The boat was a sail boat just floating around. 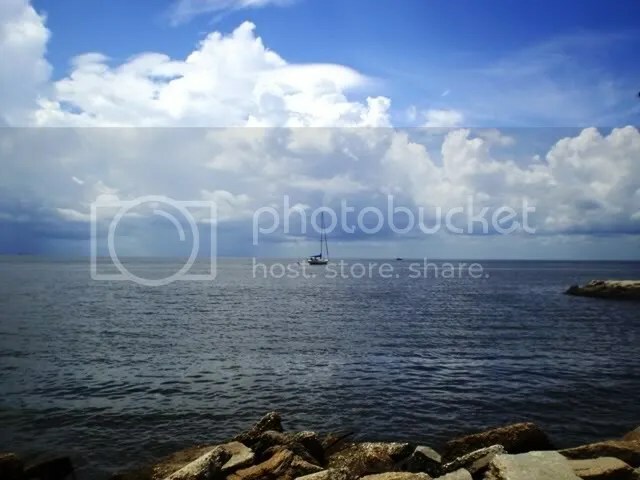 As a kid I went to Cypremort Point almost every weekend for a few summers. My father’s boss had a camp there that we had use of. Fun Times. Thanks! I’m very proud of those poems. Thanks for the read.